A bottle of perfume, when done right, can lead to magical moments. Such as a chance encounter with a stranger. Or evoke a beautiful memory from the distant past. For Florentine Mirko Buffini, a vial of patchouli-based juice from one of Firenze’s last artisanal perfume workshops, led him to create his own fragrance label. A friend gave him the fateful bottle five years ago. “On the first spritz, I hated it. But 10 minutes later, the scent developed on my skin with a woodiness that was unlike any fragrance I’ve ever worn. I thought it was the best thing I’ve ever put on my skin,” says Buffini. Intriguingly, when he wore the perfume again the next day, it smelled different, but in a good way. He thought to himself, how did the scent change? Is my mind playing tricks on me? Those ruminations set him on a path towards the art of perfumery. Buffini, who was already in the cosmetics manufacturing business with his company Aroma Firenze, had the connections to readily turn his idea of a niche Italian perfume into a reality. He asked an experienced perfumer for a scent that would befit an elegant man-about-town, with accords of brandy, chocolate, mojito, vanille, amber, black pepper, and of course, patchouli. Fifty versions were created over two years before Buffini was happy with the one. He sold the juice in a simple glass bottle encased in an unmarked box to friends. When the first batch of 100 bottles was sold out in about a week, he realised he had a potentially lucrative perfumery business at hand. Mirko Buffini Firenze debuted in 2011 with the eau de parfum, no.31. To expand the business, Buffini engaged his childhood friend Marco Mari, whose family has long been in international trade. Today, Mirko Buffini Firenze is available throughout Europe, and in places such as Russia, Hong Kong, and Japan; in exclusive stores like Harrods, Isetan, and Lane Crawford. Boutiques in the United States are up next. The brand recently set up shop in Singapore, and is now available at Maven, Takashimaya Shopping Centre level 3. The label’s offerings have also been expanded to include 12 other options, all distinct from the others in the market; delicious and seductive. Buffini’s favourite ingredients for his creations: Patchouli from Indonesia; Japanese cotton matsui; Tobacco from Tuscany; and Bergamot from Calabaria. 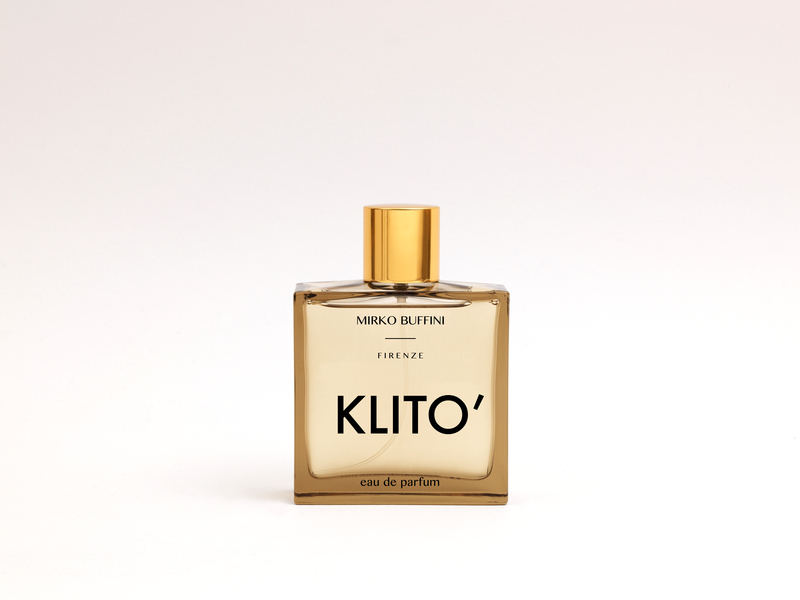 Klito (pictured above): smells just like a French classic red lipstick. Haiku: Soft, powdery, soapy, fresh laundry, white musk. Perfect for the autumn and winter seasons. Come September, the brand will be rolling out another whopping 26 perfumes; with Iranian saffron as a main ingredient in one of them. “We are very very brave,” says Buffini with a wry smile.